As a property owner in Florida, you will probably need to carry out a tenant eviction at sooner or later. Allowing a tenant to reside in your property without paying rent or after engaging in unlawful actions is a costly mistake that you should avoid. We have experience successfully handling tenant evictions in Miami and Broward. If you need to evict a tenant and avoid wasting more time and money, call us at 305.431.5657. When Should You Consider Evicting Tenants? According to chapter 83 of the Florida statutes, you can evict a tenant who fails to pay rent. You can also evict a tenant who has committed a criminal act, continued with an unreasonable nuisance, damaged the property or failed to maintain hygiene. You may also find it necessary to evict your tenants when you want to sell or renovate the property. In some cases, it is possible to sell an occupied property but this may not be the case if the buyers want to keep the property for themselves. Some tenants may be reluctant to leave the property especially if you want to sell it. In such cases, it may be wise to wait until the tenants leave before you sell the house. How Do Evictions Work in Florida? The first step in the process of evicting tenants in Florida is serving them with the appropriate written notice. If you are evicting a tenant due to nonpayment of rent, you should provide him or her with a three day eviction notice. In order for a renters not paying notice to be effective, it must contain information about the amount of money the tenant owes and demands that the renter either pays the full amount owned or move out within three days, excluding legal holidays, weekends and the first day of service. If you want to evict a tenant for failure to comply with the rental agreement, you should provide him or her with a 7 day notice, which is also referred to as the Notice of Noncompliance. This notice should list the omissions or acts that constitute noncompliance and the fact that the lease will be terminated if the tenant fails to cure the breach within seven days. You must also advise the renter that if the same noncompliance occurs within the following twelve months, the lease will be terminated without giving him or her an opportunity to cure the noncompliance. Examples of noncompliance include having unauthorized pets or persons living in the property or operating an unauthorized business. In month to month tenancies, you can issue the tenant with a fifteen day eviction notice. You must service this notice 15 days prior to the date when rent is due. 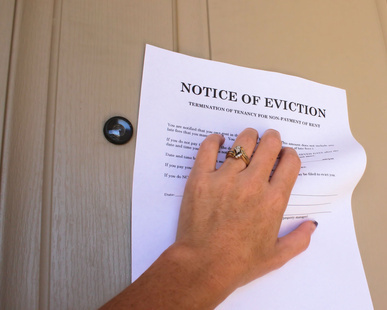 You can serve a tenant eviction notice in Florida by personal service on the tenant. This includes leaving the notice with an adult tenant at the unit, posting it on the door of the unit or sending it by certified mail. If the tenant fails to comply with the eviction notice or leave your property, you should serve an Evictions Summons and Complaint. You will be required to produce a copy of the eviction notice and certificate of service at the clerk’s office. The court clerk will notarize the completed complaint form. The summons and complaint must be served by a sheriff or registered process server. The tenant will have 5 days to file an answer with the court. If the tenant does this, you should contact the court clerk to schedule a hearing date. If the tenant fails to file an answer, you should file a Motion for a Default Judgment and request a Final Judgment for the Removal of Tenant. What could go wrong if you try to evict unruly tenants yourself? Attempting to evict tenants on your own can be challenging because you have to follow the Florida tenant eviction process, which can be time consuming. Trying to evict a tenant by turning off utilities, changing locks or threatening the tenant in any way is illegal and you may end up paying civil damages to the renter. Material noncompliance by the landlord that makes the property unsafe or unfit. Retaliation by the landlord due to complaints filed by the tenant about the condition of the property. If you win the unlawful eviction lawsuit, the court will issue a writ of possession. This document informs the tenant that he or she should leave the property within a specified period of time or be removed forcibly. The sheriff will serve the tenant with this document. After providing bad tenants with an eviction notice, it usually takes one to two five weeks for the actual eviction to happen. This usually depends on the speed at which all the involved parties work and if there are weekends and holidays. 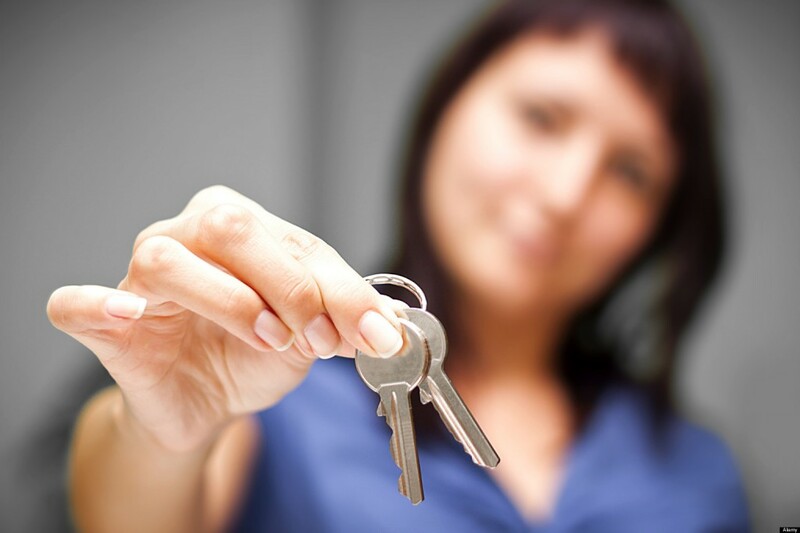 Why should you let us handle the tenant eviction process for you? Instead of trying to evict a bad tenant yourself, it is better to use our services. At Ness Property Management, we can help you evict your tenants hassle free. Our services are state specific and tailored to help you achieve your goals. Using our tenant eviction services give you the best chance of saving time and money. If you are ready to remove your bad tenants, just fill out the form below and let us handle the process. Fill out our form below to find out more information about our process. Your first month of property management is on us!